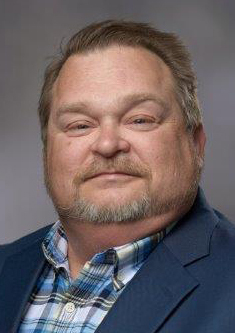 Roger Dennis, 55, of Dover, died Wednesday, November 28, 2018, at Saint Mary's Regional Medical Center in Russellville. The son of Orville and Geraldine (Hebert) Dennis, he was born June 27, 1963, in Shreveport, LA. He married Cynda (Balentine) Dennis, on December 16, 2000, at Springhill, LA. He was a Sales Associate with Centurylink. Roger was preceded in death by his parents. He is survived by a loving family who will always cherish his life & memory. They are his wife, Cynda Dennis of Dover; three brothers, Barry Dennis (Donna) of Bismarck; Jamie Dennis (Patricia) of Hot Springs; and, Colton Dennis (Deanna) of Bismarck; his mother-in-law, Martha Balentine of Dover; his sister-in-law, Paula Hinsch (Scott) of Greenwood; and three nephews, Brian Scott of Bossier City, LA; Andrew Hinsch and Kyle Hinsch, both of Greenwood. Cremation arrangements are under the direction of Humphrey Funeral Service. A family-led memorial service will be planned for a later date. Memorials may be made to the American Heart Association, 7272 Greenville Avenue, Dallas, TX 75231; or, Gideons International, P.O. Box 97251, Washington D.C. 20090-7251. Internet obituary and on-line guest book are available at www.humphreyfuneral.com.